..and those who can’t sit still. 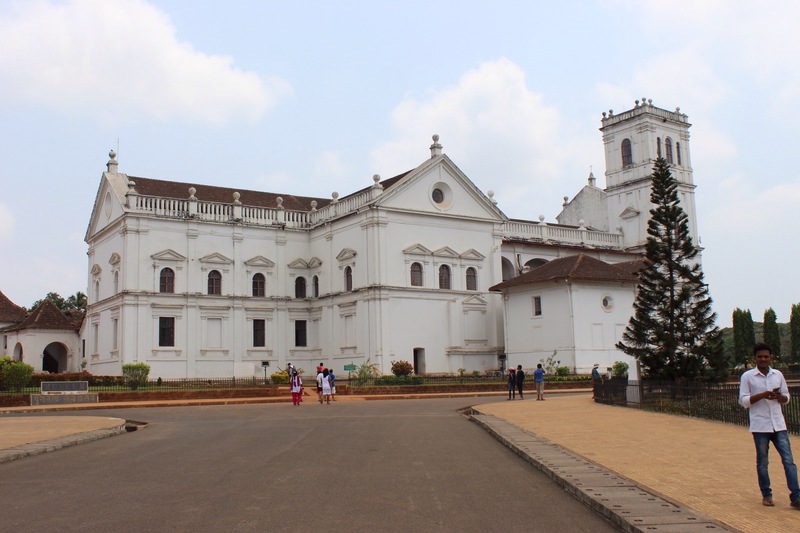 Goa is a state, not a city like I had imagined. As such it’s lots of smaller towns and a bit of a head mash to find out what level of beach, partying and culture you want. 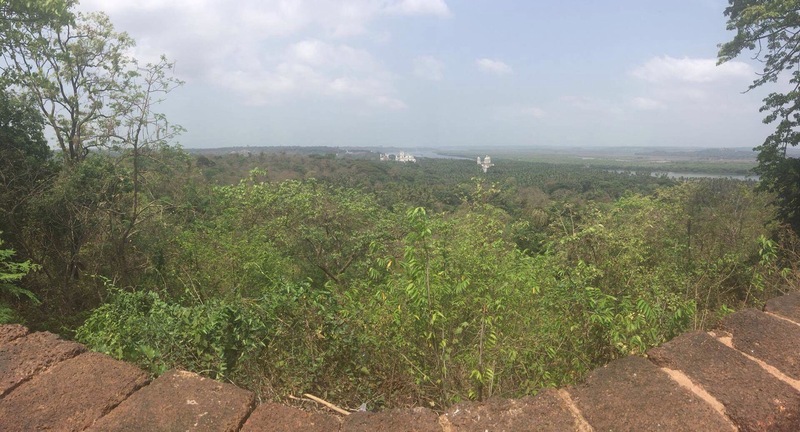 With the humidity building and the monsoon approaching the atmosphere all over Goa was much more subdued, still we were heading to Arambol, one of the quieter northern beaches. When I say we, Tara, a friend made in St Petersburg was in South India and we had last minute planned to travel together. She was landing off a later flight from Bangalore, so I made my way in the beautiful AC of the taxi north. Further and further and further. I prompted him after an hour and ten and he said half an hour more. 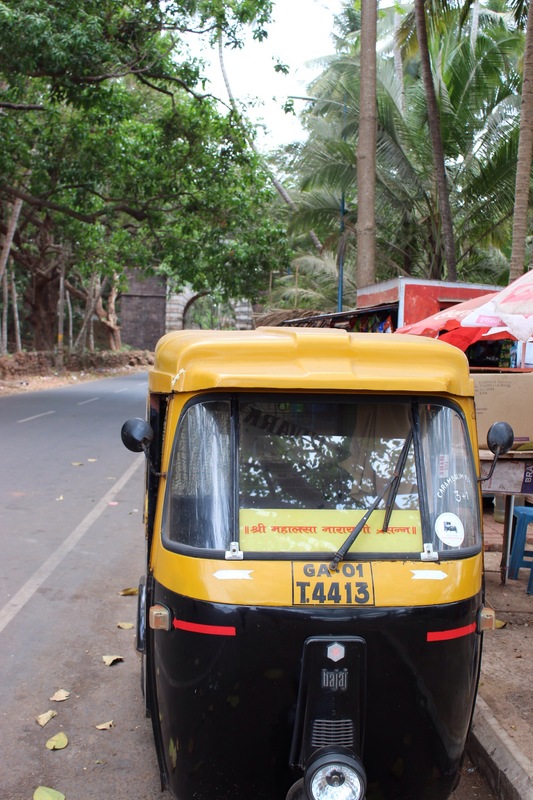 Goa was not all the western tourist paradise I had expected. We were weaving down county lanes, across rivers, through palm trees and small fishing villages. So much later when we started spotting a few shirtless hippies, I got out at my hostel, a sleepy, basic place with a warm welcome. Very warm! In the afternoon I sat doing nothing, coming to terms with my new destination and chatting to the few relaxed people around the courtyard, who later I joined to the beach for sunset. The long stretch of sand was calmer and quieter than anything I had come to expect in India. The few remaining sellers actually took no for an answer and the stroll was lovely, feet in the sea. We had dinner at a beach shack listening to loud Punjab music and being regularly mimed to by the slightly strange waiter/entertainment. Excitedly I returned to the hostel to meet Tara, who had had the same interesting revelation of a long taxi drive, to spend the evening catching up on the last three years. On a very seperate note, I also came across an unusual aid in our hostel bathroom… A ‘poo right.’ Without being too graphic, Asian toilets are squats on the floor, and often you see people sitting very comfortable position recreationally. Next to our western toilet was a poo right, sort of like a toddlers step, so that you could bring your knees up to poo properly whilst using an Asian toilet. Or maybe they were training us to be able to use their squat loos. Either way, a new one by me! The next morning we made for the beach. Our day included curry for breakfast, baking ourselves in the sun, turning a little bit lobster pink and exploring Arambol beach. 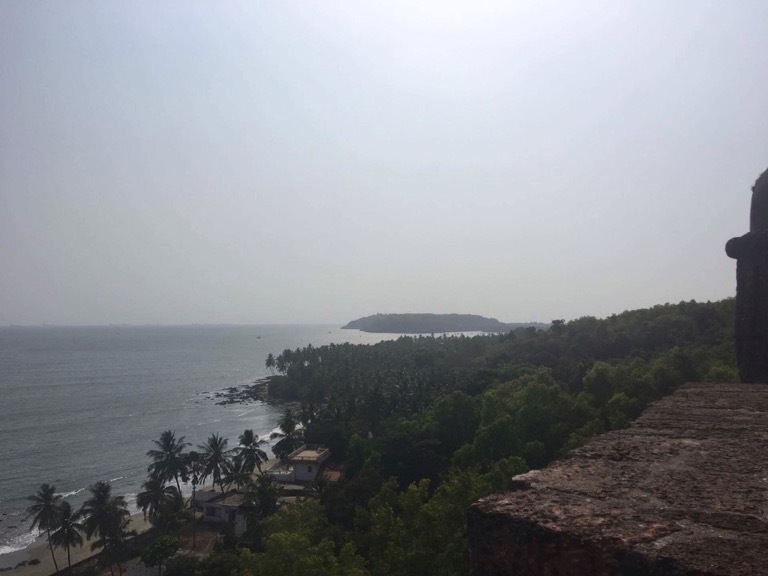 It was a long stretch of beautiful coast, rocky outcrops, colourful houses built into the rock, and pushing further on, a second beach backed by jungle with a little lake (Sweet Lake) nestled in between. There were more visitors at the hostel that night and a friendly vibe, still we concluded we had seen our share of sun and would make a move the next evening so trundled off, armed to book a bus, new friend Katie in tow. Later that evening the Hampi crowd grew, 5 of us planning to make the journey inland. 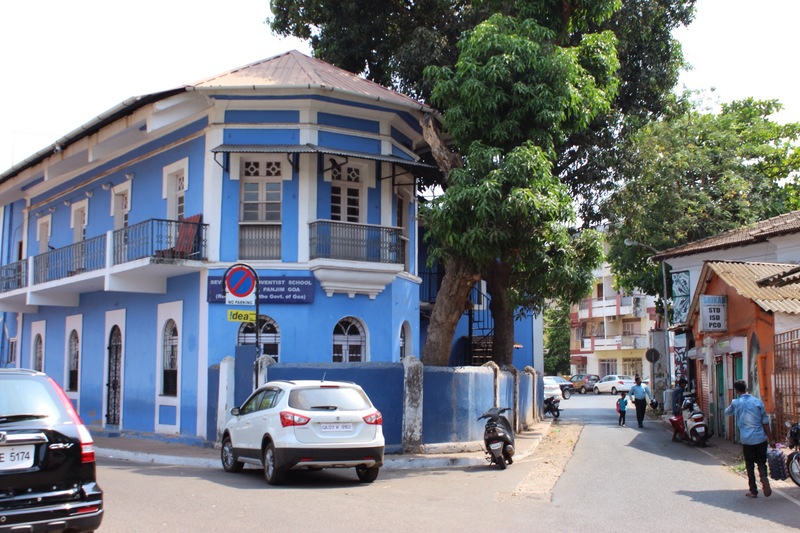 Being a history geek has its curses as we prised ourselves on to learn more about Goa’s Portuguese past. 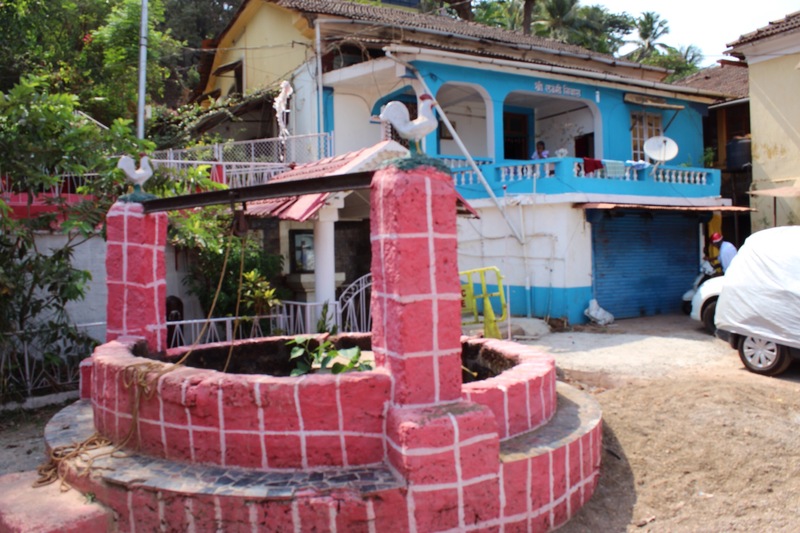 In our AC car, definitely a highlight of the day, we made for Old Goa on the Muldovi river. The Portuguese discovered this in 1498 but their first attack was defeated by the Muslim ruler of the time, Ahim. 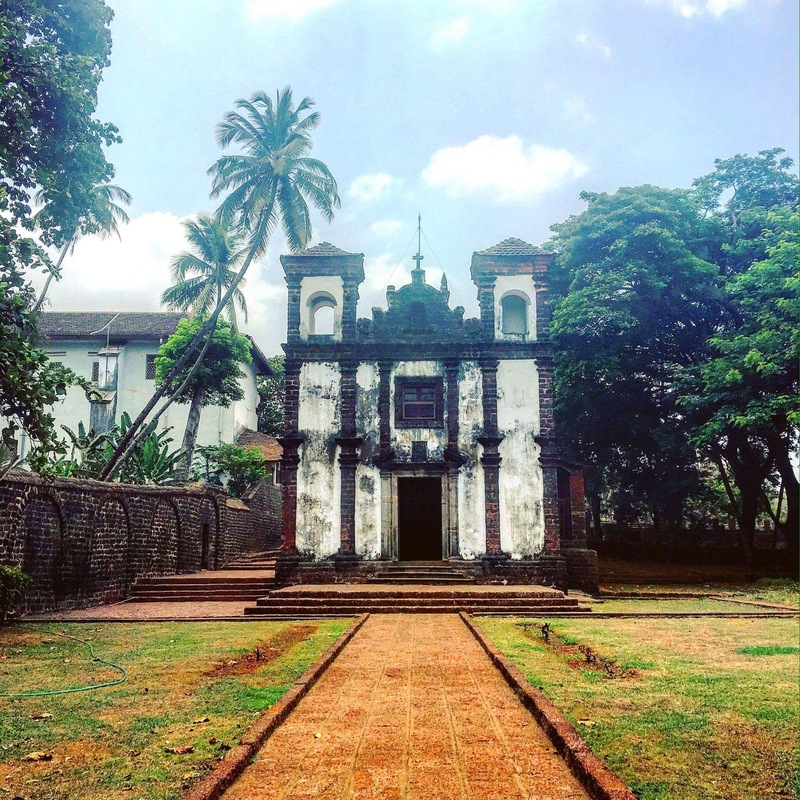 Their second attempt on 26th November 1510 started a Portuguese colonisation that would Christianise the state and continue until 1968, way after British rule had ended. As a result the state has a very different architecture, different feel and is majority Christian, although with a very different feel. 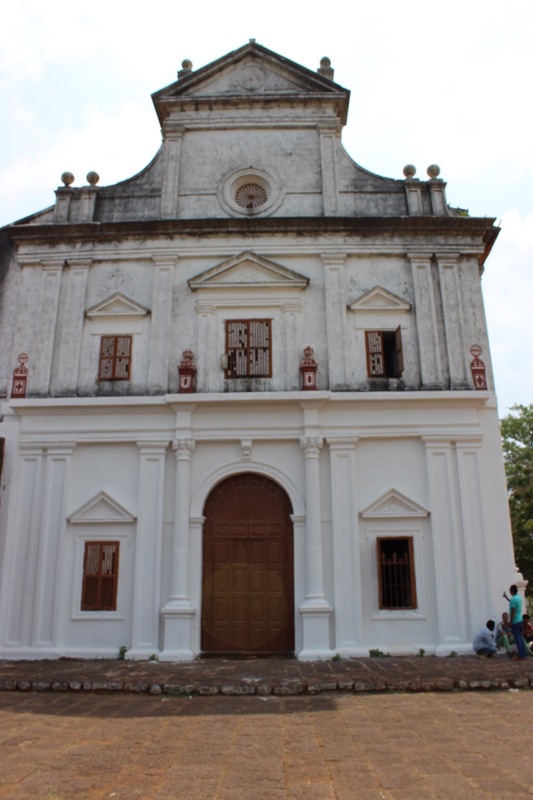 In Old Goa we visited many beautiful white churches. 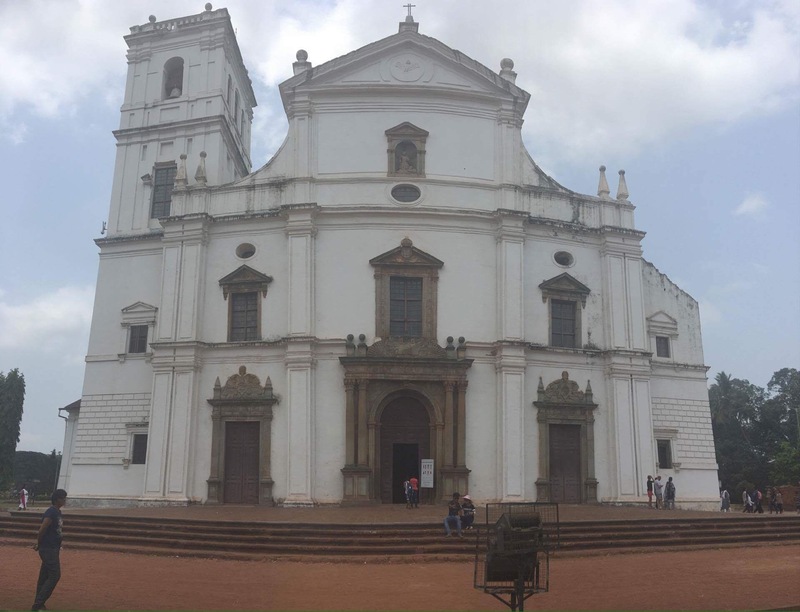 The first church was on the hill overlooking the river, the site Alfonso de Albequerque declared Goa, originally known as Govapuri, meaning land of the cows, for the Portuguese. We then visited many more, each dedicated to a saint, one with the surprisingly intact, 400 years dead Francis Xaviers body on display. 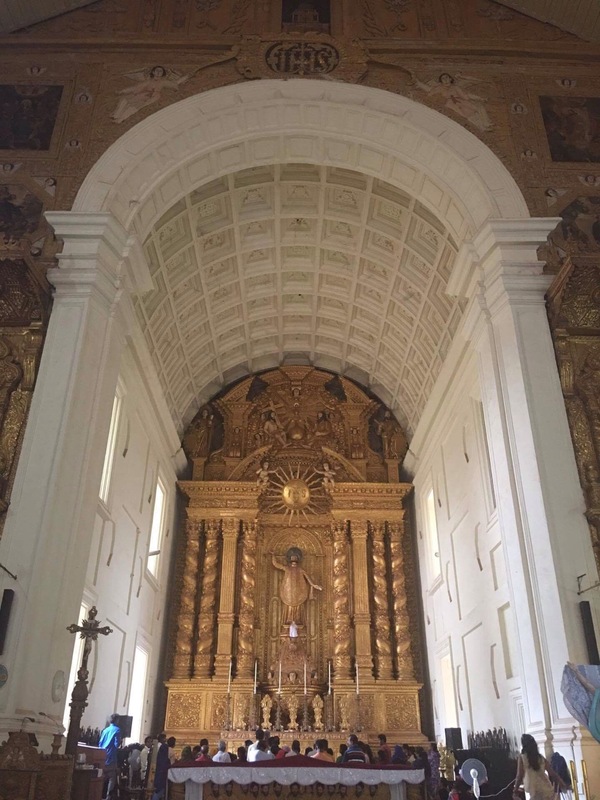 Some replicated closely the architecture of Portugal, Portuguese Macau and even the Cathedral of St Paul in Rome. 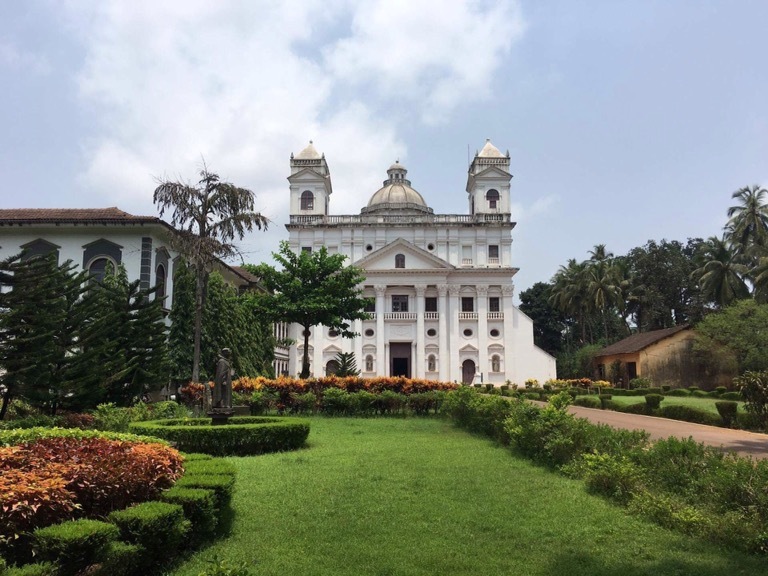 From up the river Goa made more sense as a strategic trade hub, a desirable spot, than the sandy stretch of coast it’s so famous for. 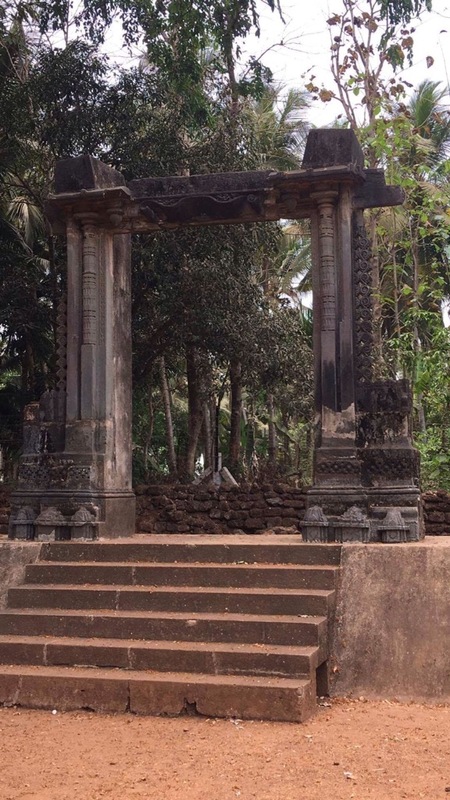 The Old Gate of the viceroy, now quietly under a sleepy Banyan tree, was the original entrance from the lifeline, the river. 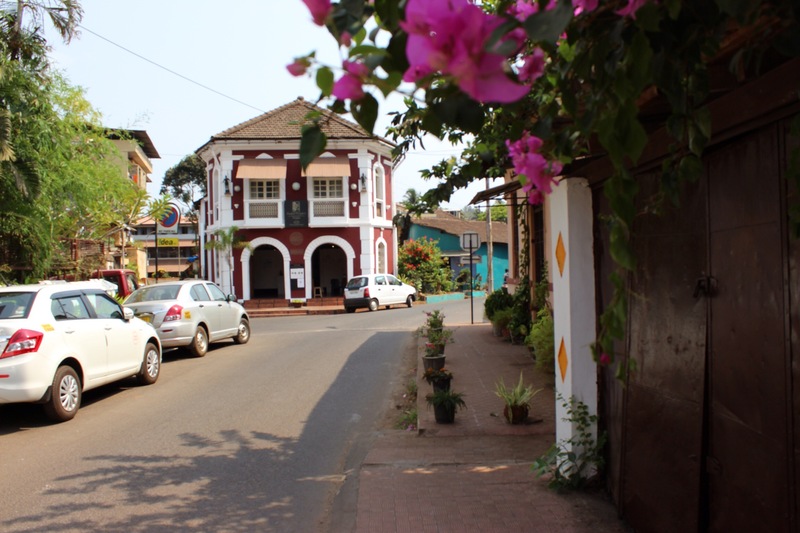 Leaving Old Goa we made for Panjim, the states capital. It had retained a Portuguese feel and we had traditional food in an old Favela. The curry base was quite different, more like a Thai green curry than the traditional Indian. 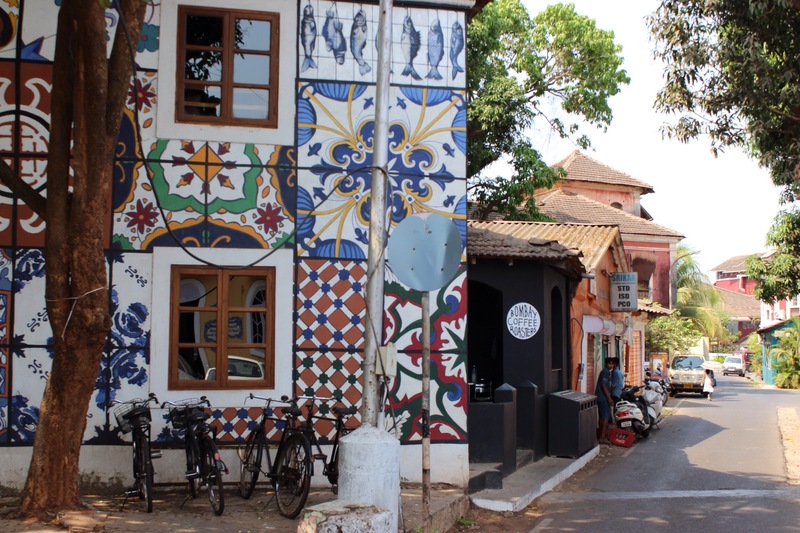 After filling our bellies we walked along the streets, each brightly painted house making you feel less like you were in india, and more like you were in Portugal, off to get an egg tart. 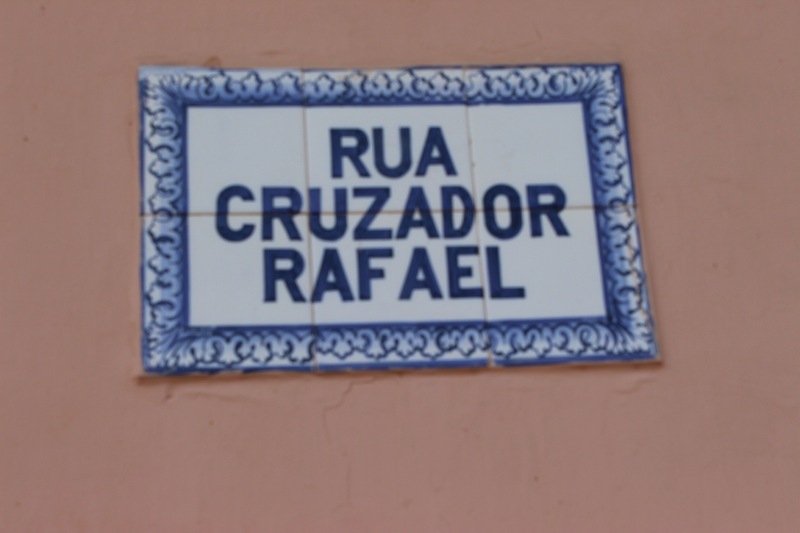 The traditional blue patterned tiles marked the names of the houses. This was were the well to do, or middle class would have lived, but still the area was well preserved. Panjim is split by the river, so we boarded one of the drive on ferries to cross the 10 minute journey, joined by lots of motorbikes. A floating casino stood amongst the vast amounts of cargo traffic using the port. 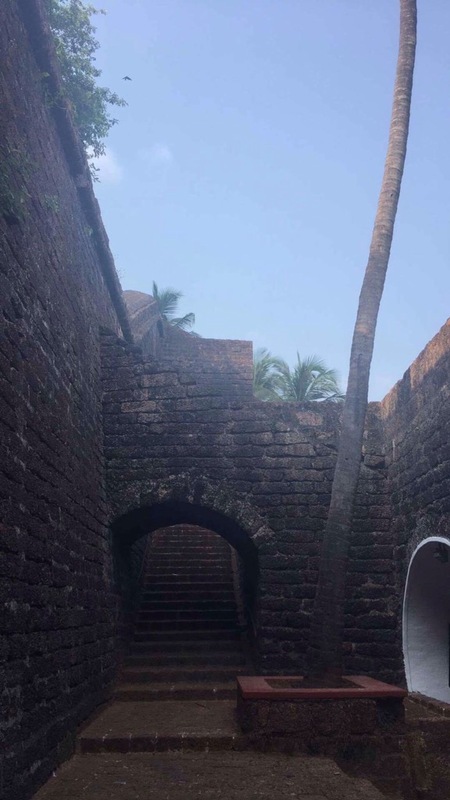 On the other side we made for Reis Magos Fort, one of the 11 forts that would have stood along the coastline. This one was marvellously maintained overlooking the river as an imposing position to any invading ships. Inside the fortifications which would have housed soldiers now housed a museum about how the Portuguese eventually were defeated. Our guide had made the whole colonial situation sound very peaceful, pride for their Portuguese heritage, however the museum told about the struggle of those seeking independence. Eventually the fort was used for the inprisonment of freedom fighters. Downstairs the gun forts were housing cartoons by Mario de Miranda humorously depicting scenes of the hustle and bustle of colonial life. 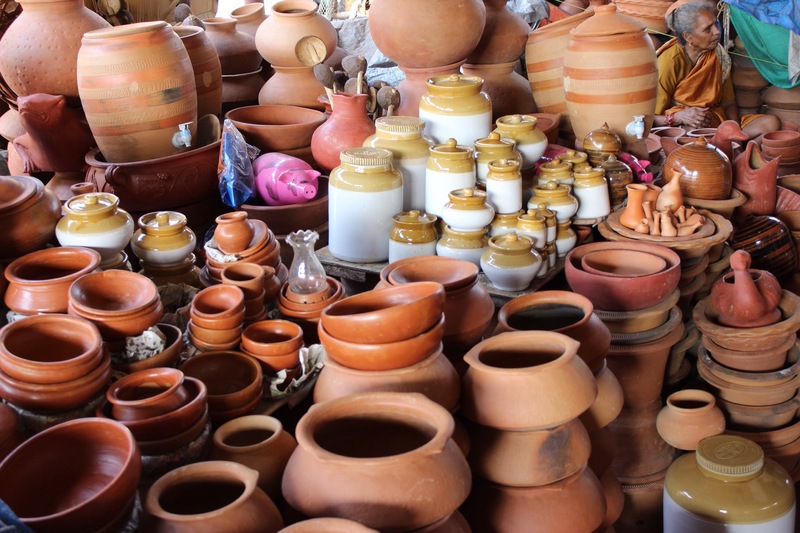 Having seen a vastly different side of Goa we made for Mapusa to look around the busy local market at spices and sugarcanes, nicknacks and Goan bread, which we stocked up on for our onward journey. With the history geek in me satiated, we said goodbye to our guides and waited patiently for our overnight bus to Hampi. And waited, and waited. Cold waaaater? You wann cold waaaater? Amusing kids stood amongst the gathering tourists all heading in different directions, supplying goodies for the night bus. Our bus got changed, and delayed and still they kept coming around, long after we had all purchased water. Not wanting to drink ahead of the 12 hour upcoming journey, Claudio summed up the moment perfectly with a ‘what is their sales pitch, annoying us into dehydration?’ But in true Indian style, the bus eventually turned up and we continued onward, in relative comfort, to Hampi. Lovely photos. 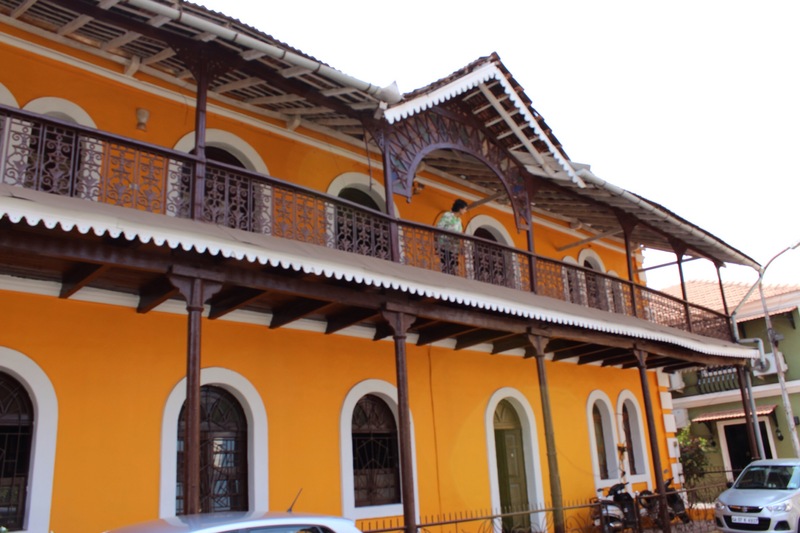 Such colourful architecture and the sense of peace is conveyed in your pictures.